Found a nice little article on Salvatore by his college of Fitchburg State, you can read it here. Another nice article by Den of Geek interviews Chris Perkins, about the current world of Dungeons and Dragons, and how Drizzt and other favorites fit in the new world after the Sundering arc. Check it out here. Just to let you all know, the Appearances section has been updated with few new video links to some older topics under games, as well as all the reviews to the Neverwinter series under comics are in one place, instead of having to scroll through the main page. As well as the updated bios of the Companions in the "Bios" section as well as the addition of Dahlia's bio in the "Characters" section. 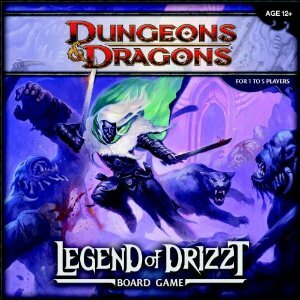 Some of you may remember back in 2011 I mentioned a Drizzt board game, I thought with the Holidays coming up I would mention it again. You can still find it on Amazon for $46.08, 29% off it's regular price, click here. Also here is a video by Wizards of the Coast on how to play the game. 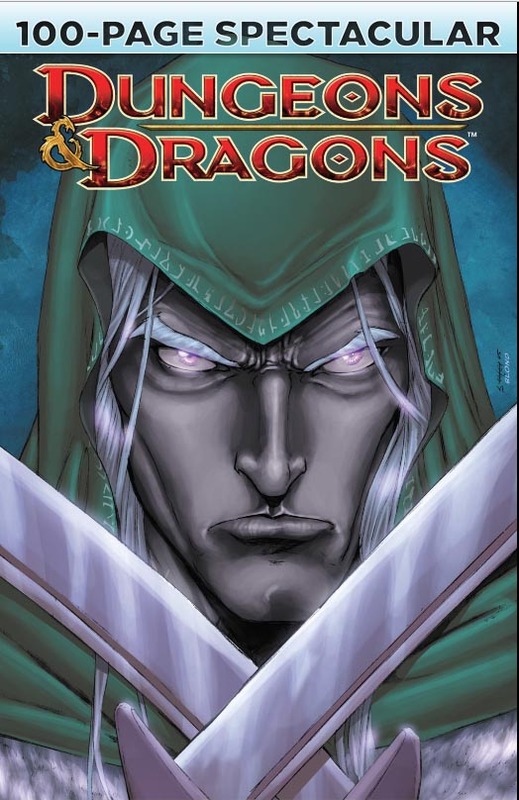 This is a Comic Book Review of the Dungeons and Dragons 100 Page Spectacular Enjoy. I know, it's been forever, but I have had a very busy year. Hopefully everyone has been having fun with the Codex series, Book 2 of the Companions Codex series you can find here. 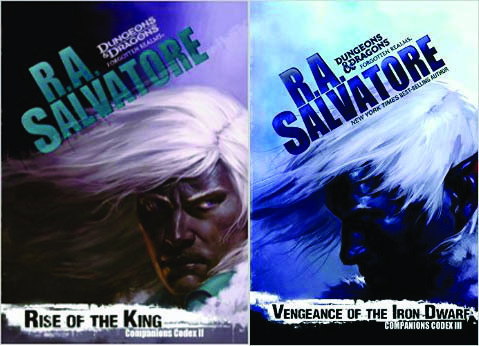 Then look for Book 3 on March 3rd of 2015 in "Vengeance of the Iron Dwarf"
Very sorry that it has been so long since I last posted anything, but there really was not much to report. I hope everyone has had a happy and safe new year so far despite the horrible weather east coasters have been getting with the snow. 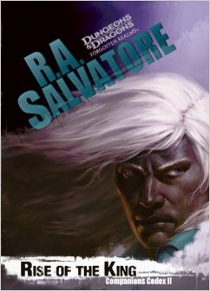 Now as for Drizzt, a few things that slipped my attention was Night of the Hunter Companions Codex, Book 1. You can read a sample here. I have been hearing great reviews for the book and can't wait for it to arrive, and book 2 Rise of the King Companions Book 2 is on it's way August 5, 2014. Reserve a copy here.